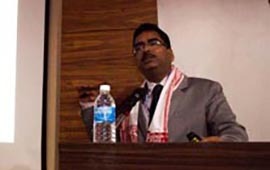 The HICAP conference on ‘Climate Change Adaptation: Priorities for Research, Policy and Practices in Northeast India’ brought together experts, researchers, policy makers, journalists, and practitioners dealing with climate change policies and livelihoods in the Northeast region for a two-day discourse on adaptation to change. 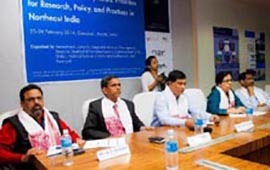 Organized by ICIMOD and Aaranyak in partnership with the National Institute of Administrative Research and Deutsche Gesellschaft Für Internationale Zusammenarbeit (GIZ) GmbH, the conference aimed to boost engagement in climate change adaptation discourse and policy processes in the Brahmaputra Basin in Northeast India. 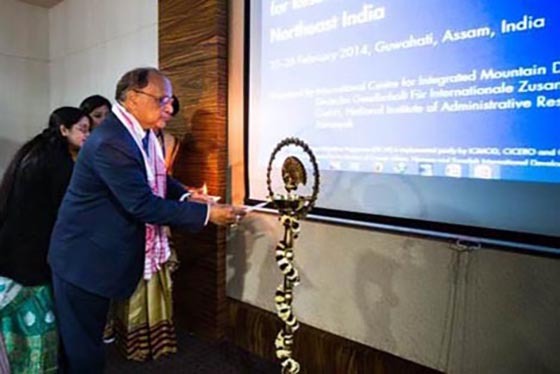 The conference provided a platform for the sharing of information and knowledge about climate change adaptation in Northeast India arising from the ongoing work of ICIMOD and other research and development organizations. 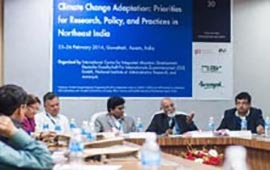 The conference brought together key actors and allowed them to explore the institutionalization of a platform for sharing knowledge on climate change-related policy, research, and practice in Northeast India. 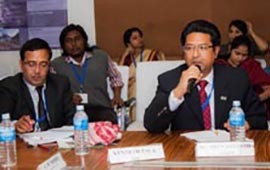 During several sessions devoted to topics such as ‘Policies and action plans focusing on climate change adaptation’; ‘Climate change and water availability’; ‘Vulnerability, adaptation and gender’; ‘Ecosystem based adaptation’; and ‘Knowledge sharing and communication’, participants engaged in discussions that brought to light key issues prevalent in the region. 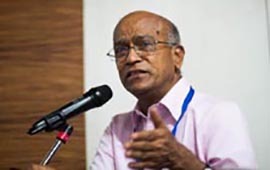 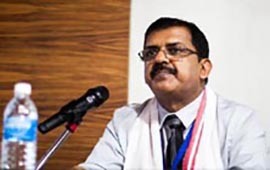 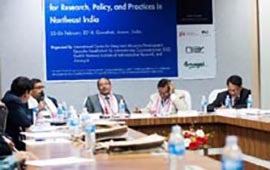 Participants echoed that the conference was a most desirable event as it brought together policy makers, scientists, and practitioners in the one place to discuss the issue of climate change in Northeast India. 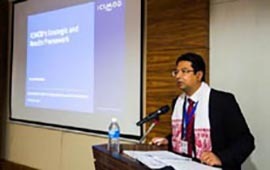 Based on the presentation of research results by ICIMOD and other well-known researchers, and the subsequent expert panel discussion, the delegates reiterated the need for an institutional platform, possibly under the aegis of the Ministry of Development of North Eastern Region, with technical backstopping from GIZ and ICIMOD as knowledge partners, to mainstream and provide continuity to the climate change discourse in the Northeast started by the conference. 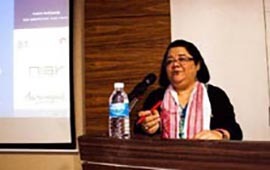 Government delegates also recommended virtual engagements as a possible way of providing continuity to the discourse. 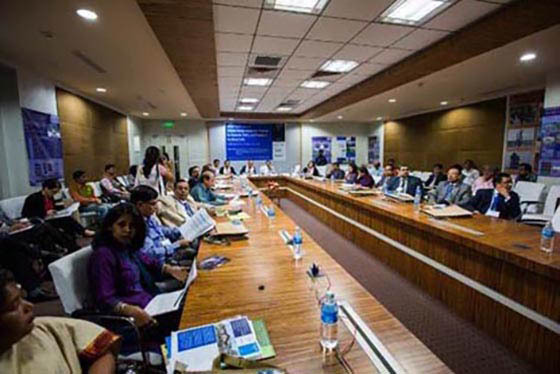 Over the two days, panellists and participants alike sketched out various areas of intervention specific to policy, planning, and governance; community level interventions; and awareness of the impacts and opportunities brought forth by climate change.